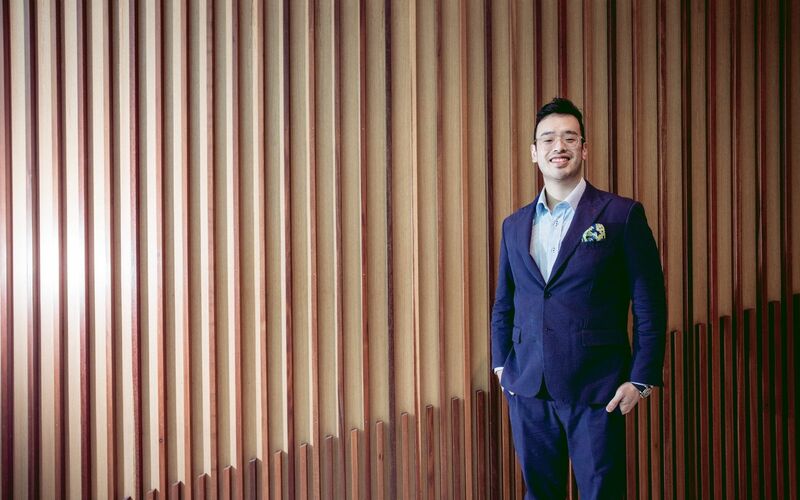 “Where amazing happens,” answered Benjamin Teo, Chief Executive Officer of Paramount Property Sdn Bhd and Director of Co-labs, when we asked him to describe the coworking space in three words. Coincidentally, it is also the coworking space’s slogan. And as we worked our way through the entire floor with cups of coffees in our hands courtesy of the in-house café, and experienced the various office options such as the nap room and the game room (among the two best facilities offered here), Benjamin discusses the rise of coworking spaces and the rewards that come with them and how it is, and will continue, to change the office landscape. 1/7 It is driven by the desire to understand the changing nature of work. The call booth – where people who need a quiet space to make phone calls can huddle in and be left at peace and quiet (literally). However, some people prefer to use this space as offices too. Photo: Courtesy of Malaysia Tatler. "I looked at businesses and technologies that run parallel to our Paramount Property businesses which is education and property development, and that’s how coworking fell into my lap. After visiting a few in Australia, and noticing that these provisions are not available in Malaysia, we went ahead with a pilot study/space which we opened in July 2017. That picked up quite well! 2/7 The objective is to go to very central locations – mature business addresses that start-ups and SMEs could not previously afford to go to. Being in a Grade A mall allows for Co-labs to provide these benefits and activities to its tenants. Photo: Courtesy of Co-labs. "Not all coworking spaces operate the same way, as some like to set up outskirts, but this is what we do. Uptown Damansara is that mature business address for us. We’re also the only coworking space that is in a Grade A mall, and being here gives us a unique positioning which allows us to push experiences and benefits that no other space can. For example, we work with Chi Fitness and provide free gym memberships; routinely do movie nights with MBO, and collaborate with F&B tenants." 3/7 By understanding how traditional offices do not particularly work for the newer generation, solutions are provided. Talk about a non-traditional office indeed; behold, a nap room! Photo: Courtesy of Malaysia Tatler. "As employers, your mindset needs to change to cater to the values of millennials. Coworking spaces are essentially lifestyle products wherein if you take the lifestyle element out, you’re left with serviced offices. Here, we have workspace solutions for the entire value chain of business ­– from freelancers to start-ups to SMEs and corporates." 4/7 Uplifting the community reaps more benefits for the people, and the organisations they work for. Game room aside, there are bigger and better benefits of setting up offices at coworking spaces. Photo: Courtesy of Malaysia Tatler. "Big corporates are beginning to see the value in coworking spaces such as the benefits it brings to the business, opportunities within the space and unrivalled networking. Here at Co-labs, we try to uplift our community as much as possible, so we have a strong focus on community-driven activities to bring people together and educate them. We organise workshops, education sessions, yoga and Pilates twice a week for our members, for free." 5/7 Accepting that space is key to productivity, without a doubt. Too tired of sitting at your desk the whole day? That's OK, take a break and chill out at one of these cool nooks at Co-labs. Photo: Courtesy of Malaysia Tatler. "Spaces do play a HUGE element in how productive your team is. As a coworking space, it’s about balance. After all, we are a work space and are careful not to go overboard with all these cool facilities as we need to manage how much work gets done. We put a lot of thought into our workspace solutions to create a holistic ecosystem in which businesses can thrive." 6/7 And remembering that it's not just about work, because there are other experiences to be had, too. Networking and discussions among peers from other organisations lead to more opportunities within the space. Photo: Courtesy of Malaysia Tatler. "What’s nice is to see the relationships that are formed here. Most members here from different companies start out as strangers and it’s awesome to see them form friendships that go on past the work space; some even go on trips together. We’re creating this bond in a place where some can call home!" 7/7 Growing and diversifying, as well as paying heed to what the modern workers are looking for. "Two more spaces will open this year, one in Capital Tower, Platinum Park (formerly known as Naza Tower) and one in Sekitar 26 in Shah Alam. The latter will have a property construction and engineering focus. Moving forward, our spaces will have a primary focus on certain industries, as coworking spaces have become more ubiquitous. That’s the natural evolution of coworking spaces, to have an identity around certain industries. This was a traditionally unexplored market, as people we were working at home or cafés, but coworking spaces give people an actual business address to meet their clients with full-fledged business amenities. It’s a huge market for us to tap into, and we’re very excited to see where this takes us!"